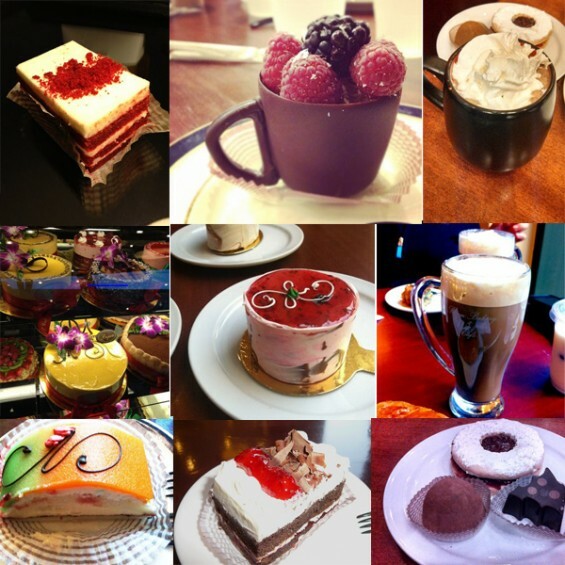 My husband and I love desserts, so I decided to share some of our favorite bakeries cafes in the Bay Area. The Downside: A lot of people come here to study. They occupy the tables forever; as a result, it is hard to find a place to sit. What I like: Cocohodo is a Korean café that serves premium pastries filled with red bean and walnut. The pastries are even shaped like walnuts and individually wrapped for maximum cuteness. You can get 9 Cocohodo walnuts for $3.50. Not bad at all! For a drink, we suggest the plum tea. The Downside: Don’t order the shaved-ice. It looks cute, but only tastes ok.
What I like: This is one of my favorite cake and pastries shops cafes in San Jose. They have a very cozy atmosphere in the evening; though it is a little crowded during the day. They have a great variety of mousse cakes. You should try their mango mousse, pistachio mousse, and chocolate hazelnut mouse. They also serve fruit and custard in cups made of chocolate. My husband loves them! Bijan Bakery & Café also makes custom cakes for special events and occasions. I ordered one once to eat in the shop with some friends. It was very good! The prices are pretty reasonable too. You can see more of their cake masterpieces on their Facebook page. The Downside: There are usually seats available. But, they need to be more diligent about cleaning up after guests. We have had to clear up our own table at least once. 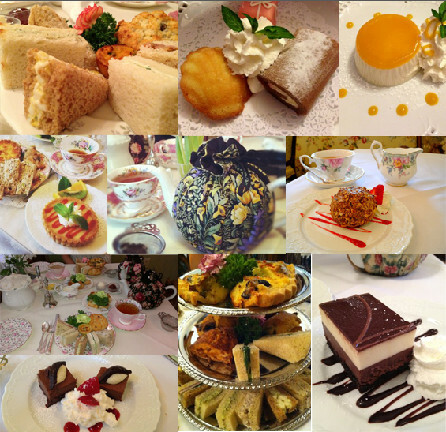 What I like: Lisa’s Tea Treasures is a beautiful English afternoon tea room with three locations in the Bay Area. It is very cozy place with Victorian interior design and dainty floral tea cups. This is an ideal venue for bridal showers. Lisa’s Tea Treasures’ decor is just perfect for bridal shower, baby shower, or birthday photoshoots. Their tea and English tea-sandwiches are delicious! The Downside: I do not recommend the soup. The soup tasted like it was from the can and didn’t fit the atmosphere. There are three Lisa’s Tea Treasures locations in the Bay Area. 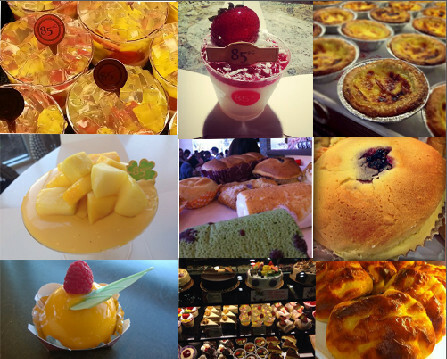 What I like: 85°C Bakery Café is a paradise for sweet breads and bubble drink lovers. 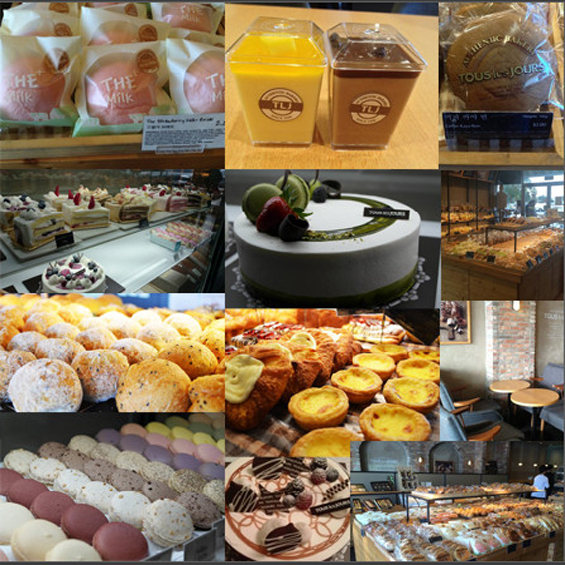 You can find almost any imaginable bread there; just name it – Cream cheese bread, taro buns, blueberry muffins and more. Bread is constantly baked and you frequently hear: “Fresh bread!”. The slogan shouted by employees when trays of hot bread from the oven come out to adoring fans! They also have beautiful cakes. While they taste a little bit different from what I am used to they are still very delicious. Their cakes are pretty inexpensive too, we paid $3.50 for a good piece of black forest cake. The same kind of cake in any other bakery will be not cheaper than $5-$7 a piece. The Downside: it is super hard to find available seats. Customers also complain that there are no diper changing tables in the bathroom. 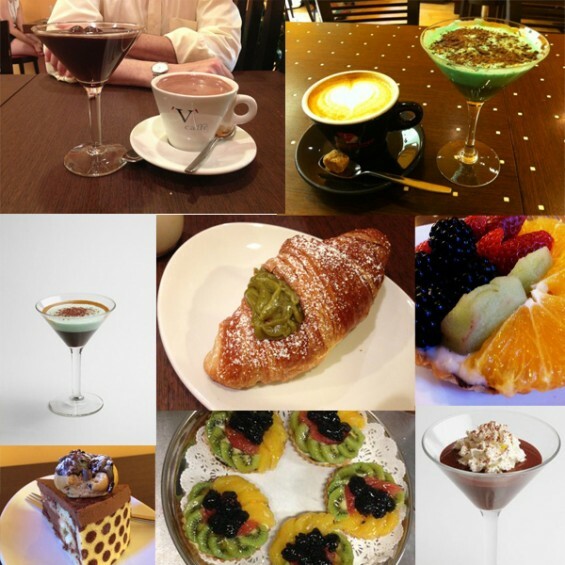 What I like: Tous les Jours Café is another beautiful Asian Bakery café with French accents in the Bay Area. It is a hidden gem in the plaza of mostly Korean eateries in Santa Clara. This bakery has a super cozy design and it does not suffer from the crowds of people that the 85°C Bakery Café does, although the process is similar to 85°C Bakery Café. Tous les Jours Café’s pastries are not the best in the area, but they are very good. Some of our favorites are the coffee bun, red bean bun, curry croquette, milk bread, mocha bread, sesame rice donuts. If you are on the diet or just need something light, with less calories, you can try their panna cotta-super light desert. We also like that Tous Les Jours Cafe works long hours daily. The Downside: Even though Tous Les Jours Café has a great variety of pastries, their drink selection is not as good as as most bubble tea places. I am a fan of bubble tea and Tous Les Jours Café’s bubble tea or coffee drinks do not meet my standards. We usually buy our drinks in Starbucks next door and then go to Tous Les Jours Café to enjoy the pastries. What I Like: Charlie’s Cheesecake Works is a cheesecake bakery in South San Jose. I discovered this little bakery via Groupon. It was quite a trip for me from Sunnyvale to Almaden in San Jose, but it was worth it. Charlie’s Cheescake Works sells freshly made cheesecakes and mini cheesecake deserts. All their cheesecake are organic, made of natural products. The bakery offers over 40 cheesecakes flavors. The Downside:There are no tables in Charlie’s Cheesecake Works bakery, they offer carry out only. 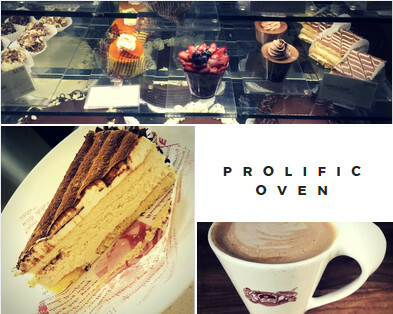 Prolific Oven has several locations across the Bay Area. They each a little different. I have not been that impressed with the cafés in Palo Alto and Santa Clara. But, I love the Sunnyvale Prolific Oven. Here is what I like about the Sunnyvale location. What I like: Prolific Oven is a pretty big, new café. It is never crowded and it has pretty good modern atmosphere. They have one very large table that will probably fit dozen people or more easily. So, if you organize a study group that is the perfect location. This place has many high chairs, so if you organize a mommy group, it is also a pretty good place. They have a great choice of cakes, coffee, tea and wine as well as awesome sandwiches and other food. Their meals are pretty big. Our favorite sandwich is shrimp club that can easily feed 2 people. Another bonus is that they have also outside area where you can sit if you want to enjoy the weather or just come with your dog. The downside: The cake prices are a little on the high end and they tease you with a bite-sized piece included with other meals. Oh wow! I’m definitely going to check these places out. YUM!